Welcome to Shasta Critical Care Specialists! 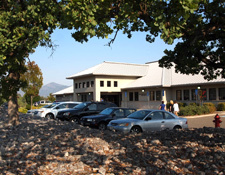 The physicians and staff of Shasta Critical Care are committed to providing outstanding, state-of-the-art care to all patients with kidney, lung, immune or allergic illnesses. Our practices provide continuity of care for the entire spectrum of medical problems, from outpatient consultation and management to treatment of the most unstable patients in the critical care setting. At Shasta Critical Care the focus is on the patient and family as they deal with an illness. The staff’s goal is to return the patient to health and function, while helping the patient to optimize his/her potential to work with the limits imposed by the illness. Shasta Critical Care works in conjunction with Z MD Sleep Center for the diagnosis and treatment of sleep disorders.